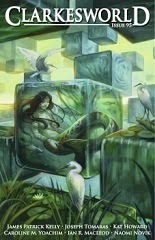 Free Fiction says are here again as the summer evenings grow / I got my fantasy, I got my sci-fi, Have I got a more? Who knows? • At Buzzy Mag: "Cineplex" by M. M. DeVoe. Urban Fantasy. "When people ask, I say that I’m a physicist who serves on the board of a nonprofit science research agency headquartered in New York. This is true, basically. My area of expertise is parallel universes. At any given moment, I know all the things that ever did or might happen in a given location." 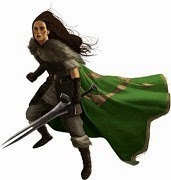 • At Paizo: "Queen Sacrifice - Chapter Three: The City Under No Stars." by Steven Savile. Pathfinder fantasy. "Spires of stone rose toward what should have been the sky, the twisted columns supporting the overbearing weight of the cavern's roof. Lights burned in a few windows, like tears on the face of the rock walls where the oil burners lit the workplace. She watched as dozens of shadows swarmed over the scaffolds like ants. She knew where the children had gone; they hadn't been slaughtered for food, but were being used as slave labor down here, worked until they dropped, useless. Only then would they become meat for the shadow men." Past chapters here. • "Five Stages of Grief After the Alien Invasion" by Caroline M. Yoachim. "Ellie huddled in the corner of her daughter’s room. She sang a quiet lullaby and cradled her swaddled infant in her arms. Lexi was four months old, or maybe thirteen months? Ellie shook her head. There hadn’t been a birthday party, and thirteen-month-olds didn’t need swaddling." • "Bonfires in Anacostia" by Joseph Tomaras. "On the left-hand side of the coffee table were stacked three Michael Chabon novels, one each by T.C. Boyle and Tim O’Brien, and a volume of Nathanael West’s collected works. On the right were five guides to maximizing fertility, and two novels by Tessa Dare. In between were two stemless wine glasses." • "The Saint of the Sidewalks" by Kat Howard. "Joan wrote her prayer with a half-used tube of Chanel Vamp that she had found discarded at the 34th St. subway stop. It glided across the cardboard—the flip side of a Stoli box, torn and bent—and left her words in a glossy slick the color of dried blood: 'I need a miracle.'" • "The Rose Witch" by James Patrick Kelly. "Most in that country called Tzigana a witch, though never to her face. Now that she was dead, you would expect that the girls who had lived in her tumbledown house might say whatever they wished. But none dared speak against the old woman. All but one continued to bless her memory, constructing imagined kindnesses out of blankets as thin as soldiers’ socks, candle stubs dipped from scrap wax, and joints of stringy goat for the turnip soup." • "Seven Years from Home" by Naomi Novi. "Seven days passed for me on my little raft of a ship as I fled Melida; seven years for the rest of the unaccelerated universe. I hoped to be forgotten, a dusty footnote left at the bottom of a page. Instead I came off to trumpets and medals and legal charges, equal doses of acclaim and venom, and I stumbled bewildered through the brassy noise, led first by one and then by another, while my last opportunity to enter any protest against myself escaped." • "Nevermore" by Ian R. MacLeod. "Now that he couldn’t afford to buy enough reality, Gustav had no option but to paint what he saw in his dreams. With no sketchpad to bring back, no palette or cursor, his head rolling up from the pillow and his mouth dry and his jaw aching from the booze he’d drunk the evening before—which was the cheapest means he’d yet found of getting to sleep—he was left with just that one chance, and few trailing wisps of something that might once have been beautiful before he had to face the void of the day." • At 365 Tomorrows: "Dissidence" by Robert King. Science Fiction. • At Clarkesworld: "Five Stages of Grief After the Alien Invasion" by Caroline M. Yoachim, read by Kate Baker.Science Fiction. • At Pseudopod: "Gut Check" by Toni Nicolino, read by Stephanie Morris. Horror. “The sun had ducked behind the overgrown trees on Twining Avenue, and she checked the time on her cell phone. She’d been meandering for almost thirty minutes, and if she went any further, she wouldn’t have the energy to trek back. She turned around and started the journey home, feeling strangely fearful of the sudden darkness. The streetlights hadn’t yet been activated and the lack of illumination made her uneasy. She picked up the pace, wondering if her protective new-mother disposition had heightened her sense of self-preservation. More likely, the recollection of her unpleasant childhood had caused the unrest." • Radio Drama Revival: "Episode 384 – Traveling Back to 1918" Science Fiction. 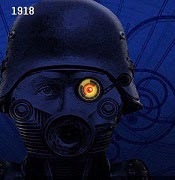 "Premise: It is 1918 and aliens have crash landed on the planet. At the climax of World War I, Central Power and Allied scientists are racing to find uses for alien technology. Triplanes and Sopwith camels are rigged with laser systems. Believed dead after being shot down, Manfred Von Richtofen, the infamous Red Baron is restored to health as a cybornetic robot and enlisted to aid Germany in it’s quest to fight the return of the aliens." 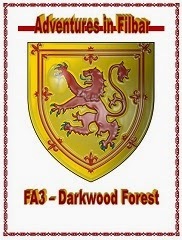 • At DriveThruRPG: "FA3 - Darkwood Forest" OSR Adventure. "With a multitude of side adventures this area helps mid-level adventurers increase their experience point base. Close to this area is the previously published Sunken Temple of Bulu and the Ruins of Tarlac Keep.This adventure setting was designed for 1st/2nd Edition AD&D for the Filbar Campaign for mid to upper level groups of adventurers. This adventure is easily adaptable to most any game and system. 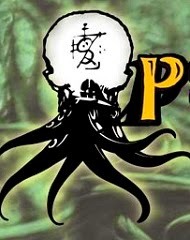 Save yourself some time and utilize it for several one shot adventures or a continuing campaign setting!" 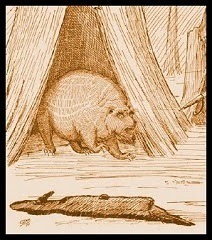 • At QuasarDragon Games: "The Gumberoo" Monster.